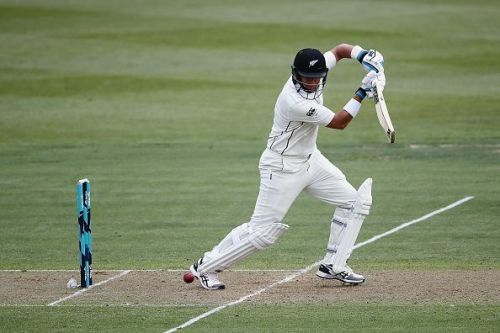 Ross Taylor is one of the greatest players to ever play at No.4 in test cricket. After making his Test debut against South Africa in 2007, Taylor has represented his country in 85 Tests. He has accumulated 6281 runs in Tests at an average of 47.23, accompanied by 17 centuries and 28 half-centuries. He is known for his ability to play the spin, and on his day, he can even destroy the world's best bowling attacks. We look at the top 3 highest scores of his Test career. The New Zealand team went to Zimbabwe for a 2-Test series. In the first Test, Zimbabwe won the toss and chose to bat first but were dismissed for just 164 runs. Neil Wagner destroyed the batting lineup with his 6/41. In return, Latham and Taylor scored centuries to take the Kiwis to 576-6 declared. Latham scored 105 off 209 and Taylor scored an unbeaten 173 off 299, accompanied by 19 fours. This was Taylor's 14th century and second against Zimbabwe in Tests. Zimbabwe could not do much in the second innings either, and the hosts won the match by an innings and 117 runs. 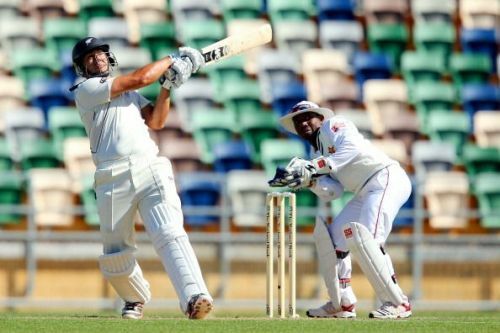 Ross Taylor won the Man of the Match award for his match-winning knock of 173. The West Indies cricket team toured West Indies for a 3-Test series in 2013. In the first Test, West Indies won the toss and chose to bowl first. 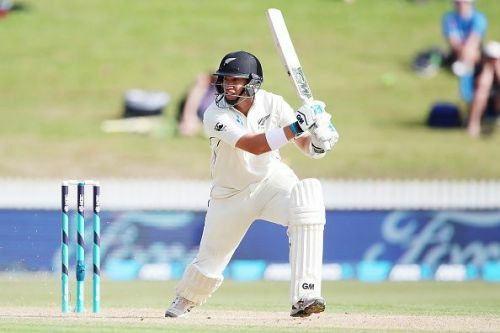 Taylor and McCullum exploded with centuries as the Kiwis finished with 609-9 declared. Taylor registered his maiden double-century and finished with 217 off 319 including 23 fours. In reply, West Indies got bundled out for just 213 runs and were forced to bat. However, in the second innings, Darren Bravo smashed a double-century, scoring 218 off 416 balls to take them to 507. 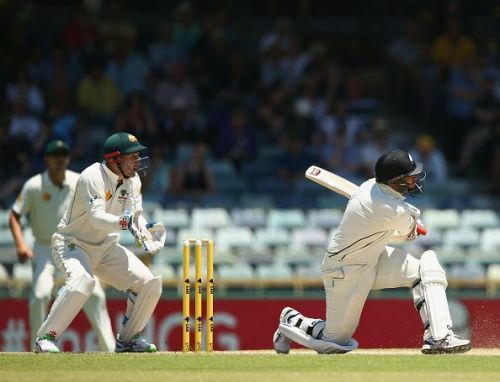 But the huge first-innings lead secured by the Kiwis meant they had only to chase 112. The hosts successfully chased the target and Taylor was awarded the Man of the Match for his first double-century that put them in the leading position. The Kiwis visited Australia for a 3-Test series in 2015. After losing the first game by a huge margin of 208 runs, the hosts were looking to make a comeback into the series. In the second Test, Australia won the toss and chose to bat first and posted a huge total of 559-9 declared, on the back of a double-century from Warner and a century from Khawaja. In reply, New Zealand scored 624 all-out. This was sparked by Williamson's 166 and Ross Taylor's 290 off 374 balls, accompanied by 43 fours. This was his second double-century and the third highest score by a New Zealand cricketer. The match ended in a draw and the hosts held on to a 1-0 lead. Taylor was adjudged the Man of the Match for his match-saving knock.